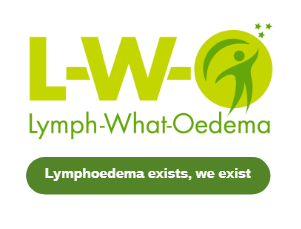 Living with a lymphoedema means that whether we are travelling a short distance or going on a longer journey we need to plan as much as we can so that when we reach our destination, we can enjoy and have fun. Whether you are staying overnight or for a couple of weeks. Make sure you have six months left on your passport when you come back into the UK. Travel Insurance. Insurance companies often issue you with an Insurance ID card which you can carry in your purse or wallet. L-W-O cannot recommend an insurance company. Declare all your pre-existing conditions including your lymphoedema. Make sure you are covered. If something goes wrong and you haven't declared one or more of your conditions, then that insurance becomes invalid. Please read the small print so that you know how to deal with any problems that might arise. ​Take a copy, many people will download the insurance to their laptops or mobile phones. What happens if there is no Wi-Fi? ​Even if you have taken out travel insurance, please make sure you have enough money to cover any emergency medical bills. Often you will have to claim that money back on your return to your home country. Keep an emergency fund for that unexpected finance. Airports are busy, sometimes frantic places and you will always find someone who is impatient. Whilst it is not always possible, stand back try to avoid someone running into you with a trolley or bumping into you with their case. The last thing you need is to damage your affected limb. Check out before hand what the airports disability travel arrangements are for example Heathrow airport has a policy for hidden and cognitive disabilities. Ask at check in if there are any spare seats you can move to, that would give you more room to spread out. It is important for you to be safe when flying, make sure your seat belt does not leave indentations on your skin Ask for extra leg room when booking. By car - take regular breaks, whenever possible get out of the car and walk to exercise your limbs. Make sure that you have plenty of legroom whilst in the car and do ankle and finger exercises. In hot conditions make sure your cars air conditioning is working and use it. By bus - use rest breaks to get off the bus and stretch your limbs, if possible do ankle and finger exercises whilst travelling. It is unlikely that travelling by bus will give you the leg room you need therefore, make sure you use the rest breaks. By train - do your ankle and finger exercises and if possible get up and walk around. If you need assistance ask. Preferably pre-book assistance before you travel. Use a case with wheels and try not to be lifting a heavy case off the carousel or onto weigh machines. If you are struggling ask for help or even better book assistance before hand. When I was first diagnosed in 2011 I was told not to carry hand/shoulder bags on my affected side. I was also told to be careful or not to wear a back pack. However, I am now told this is a myth and some weight lifting is good for your lymphoedema. Will there be a language barrier if you get ill on holiday? We are very lucky in this day an age to be able to have access to the internet and with smart phones or tablets, translation services are easier to find. Both Play Store and Google have apps that can translate for you. Download one before you go away. There's very useful information on the UK's Foreign and Commonwealth Office travel advice website. If you need help when travelling for example lose your passport, it would be helpful for you to know where the British Consulate is situated.